This morning we fetched the lively Alaskan Malamutes, Dulux and Belle. They were ecstatic to see their walkers and could not wait to get going. They also seemed to be very keen on playing with each other at first, but calmed down a bit as the walk went on. 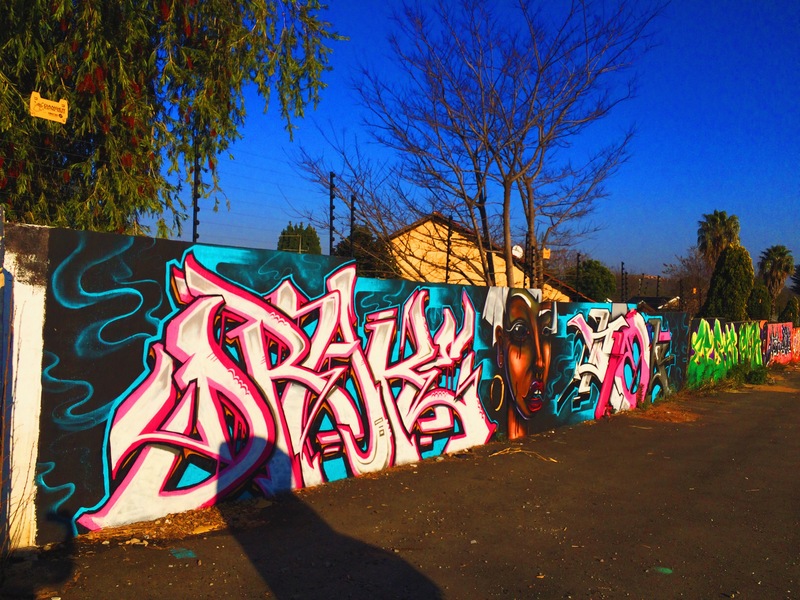 We did a very nice tour of Fontainebleau, and came across some interesting graffiti. We passed quite a few pedestrians who were mostly happy to see thes lovely dogs out and about. Many people in their cars seemed to be very interested in the pups too. There were a few learner drivers in the area, who we kept walking past and wishing them well with learning to drive. Dog walking in Fontainebleau can be a lot of fun, especially with these wonderful hounds! We discovered a wonderful park, and made friends with a lady who was getting her daily dose of exercise. She said ‘hi’ to all the dogs who barked as we walked past. Alaskan Malamutes are notorious for digging. Any fencing should be buried so they cannot dig out of their yard. Alaskan Malamutes shed heavily twice a year. Their thick double coats are not suited for hot climates. Generally a quiet breed, Malamutes rarely bark. They do hold conversations with you, vocally expressing themselves with “woo woo” sounds or loud, extensive howls. 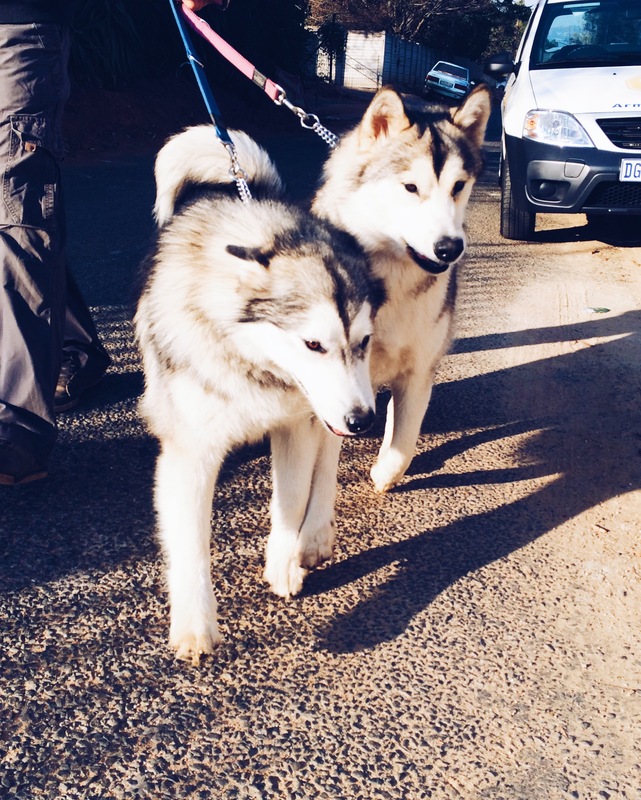 This entry was posted in Dog Walking and tagged #YourHound_SA, Alaskan Malamutes, animals, Dog walking, dogs, Early mornings, exercise, fit, fun, Happy Dogs, Johannesburg. Bookmark the permalink.